Governor Bourke had already sent him to New Zealand in 1838, and his report so impressed Lord Glenelg that when he decided, in December 1838, to appoint a Consul to New Zealand, he offered the post to Hobson. 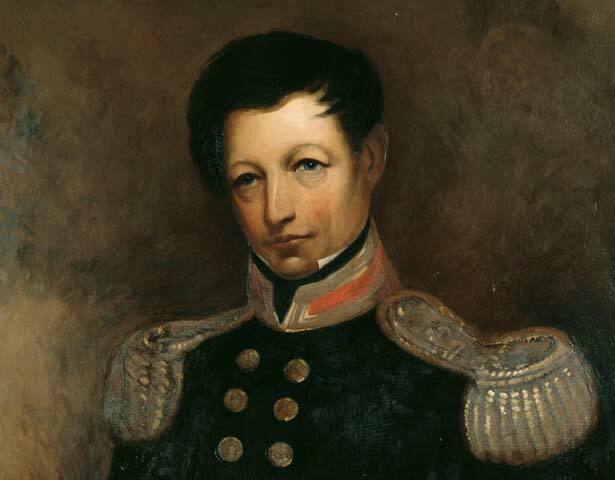 Hobson, though, took two months before accepting, on 14 February 1839, as he had been hoping instead to receive further promotion as a senior naval officer. New Zealand ceased to be a protectorate of New South Wales and became a colony in its own right, with Hobson as Governor and Auckland as its capital city. The administration was short of cash and had frequent conflict with settlers, who were hungry for land and wanted control of the colony's government. After barely two years as Governor, he died from a stroke at the age of 49. We have 2 events in history, 27 biographies, 11 articles, 5 comments related to William Hobson. I have an ancestor named William Hobson who was a merchant who arrived in Auckland in the late 1850/s. He returned on a ship in the 1860's back to England for an eye operation and died on the way back. His daughter donated a beautiful stained glass window which is still inside the baptismal font at St Matthews in the City. On further research the Blue Plaque apparently the birthplace of William Hobson is fixed to 18 Lombard Street which runs in to William Street, Waterford, Ireland. The following links relate to this. I noticed recently a blue plaque on a house in William Street, Co Waterford, Ireland claiming to be the birthplace of William Hobson, first Governor of New Zealand. I am researching my NZ Hobson relatives from 1840s-1850s. I'm trying to find out the names of Capt William Hobson's siblings. My relative is Joseph Hobson and an Uncle "Sandy" Hobson. It may also be helpful and interesting for you to know that William Hobson had been in the navy since he was 10 years old.